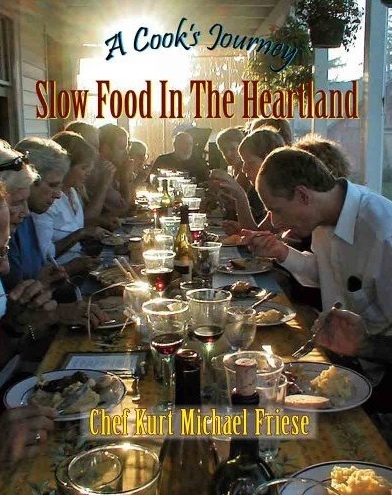 Friese's expedition explores and explains the Slow Food movement throughout the American Midwest. If you haven't heard of the Slow Food movement, this book will be an eye-opener for you. Even if you are aware of Slow Food, you will be amazed and pleased to learn of the remarkable diversity that this region of the country is providing: brick-oven cooking and traditional prosciutto in Iowa; micro-breweries in Ann Arbor and St. Louis; smoked lake trout on the shore of Lake Superior; food experts in Minnesota's twin cities and Madison, Wisconsin; exciting ventures in food security and quality in Oklahoma, Nebraska, North and South Dakota; family recipes from Italy in Kansas City; even the rebirth of Al Capone's prohibition rye whiskey. A Cook's Journey is an insightful, inspiring collection that also includes relevant, mouthwatering recipes by the author and the folks featured in this remarkable journey.